Matthew Whittington demos For Eyes' brand new Optomap machine to Prime Minister John Key. Brian Curry talks about how his colour correcting lenses have affected him. Award winning actor Peter Elliot is interviewed by TV3 about how his new colour-correcting lenses work. Examination was made fun for my son and I was kept well informed all the way. Great technology. Many thanks for taking the time and effort to explain the tests and machines to me. VERY IMPRESSIVE. 10/10. 10/10. Very friendly and helpful - very good explanations. I would recommend to friends/family. My mum has macular degeneration so I came to For Eyes for my eye exam because I know they test for it. Matthew said my maculas are perfect! My mum cried with relief when I told her. She'd been on at me to get the scans for ages. Did you know that 1 in every 12 NZ men is colour blind? 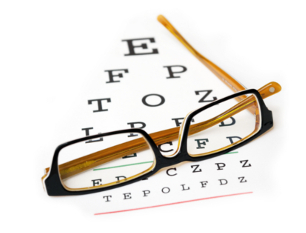 We specialize in colour blindness and offer a range of colour-correcting lenses to enhance colour vision. Come and see us, or order our post-out colour vision kit and experience the effects of color correcting lenses in your own home.